Satellite Fire Detection | ALERTS Every 5-15 Min. With the recent democratization of satellite data, we saw huge potential. We first saw smoke from the sky — the chance to use artificial intelligence plus a satellite's vantage point to equip remote firefighters with better early detection. By blending artificial intelligence with next-generation satellite and sensor data, we see endless potential for positive action. This is not simply eyes in the sky—it's the capacity to interpret vast amounts of data in a way that makes a difference on the ground. Our mission at Tanka is to equip people with the vision they need to respond and protect like never before. We use the eyes of satellites to collect dynamic views and data streams on just about anything. To the minute or over time, we can watch the progression of human movement, land use, agricultural growth, development patterns, traffic, natural resources, or industrial assets. We apply artificial intelligence to satellite data with a ‘special forces’ model of innovation, moving swiftly to extend this view and its actionability. As problem-solvers, we look to the future with ambition — we will address the world’s most persistent challenges with positive technology. 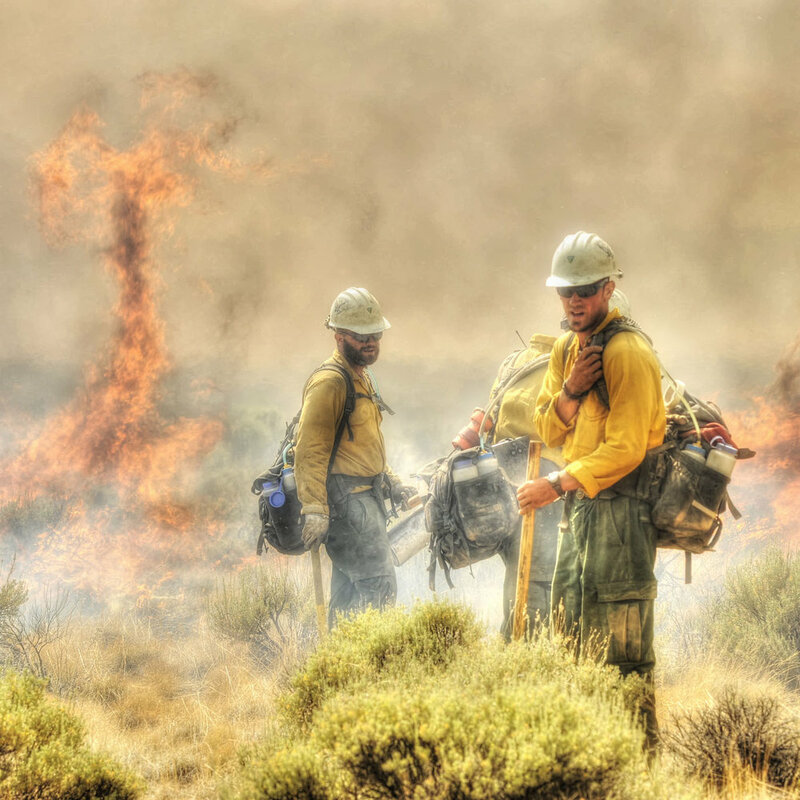 With traditional modes of detection, the cost of firefighting efforts are demanding, the long-term logistics exhausting, and the results hit-and-miss. Tanka uses incorruptible, highly accurate, and indisputable artificial intelligence to see fire and automate your ability to fight it — with solid confirmation and no doubling back, there are no: false starts, human errors, mobilization delays, or gambling with resources. With Tanka, manage corporate risk and public expectation while minimizing the ecological footprint of industry and human activity. The constant dynamic view (every 5-15 minutes) afforded by our global network of satellites and sensors form the world’s most precise vantage point. This network of verified, continually-refreshed data, pattern and hotspot detection, and automatic alerts helps our clients (governments, corporations, and land watchers) to see clear and act fast. 'TANKA' is A word for CLARITY, PURPOSE, and NATURE. Secure, safe, quiet, and calm is the goal for teams that care for ecological spaces, corporate investments and assets, and landscapes of the public domain. The more rapidly you confirm fires and dispatch well-trained teams, the better off your team will manage critical situations. Tanka's clarity and dynamic view is unsurpassed. Every detection is made with visual imagery at three to five metre resolution. With this degree of detail and resolution, make data a valuable asset. For 24x7 firefighting, respond with precision and without delays or false alarms. With Tanka's web platform, equip teams with a constantly-refreshing display of hotspots, and enable them to stamp down flare-ups before they become catastrophic. Tanka's satellite network is an unfailingly accurate running view of the present situation with a new image, anywhere on earth, every 5-15 minutes. With eyes on the ground everywhere and at-scale, confirm incipient fires without the trial-and-error of patrols and random surveying.